I love dyeing Easter eggs. It’s a tradition that I won’t mess with. 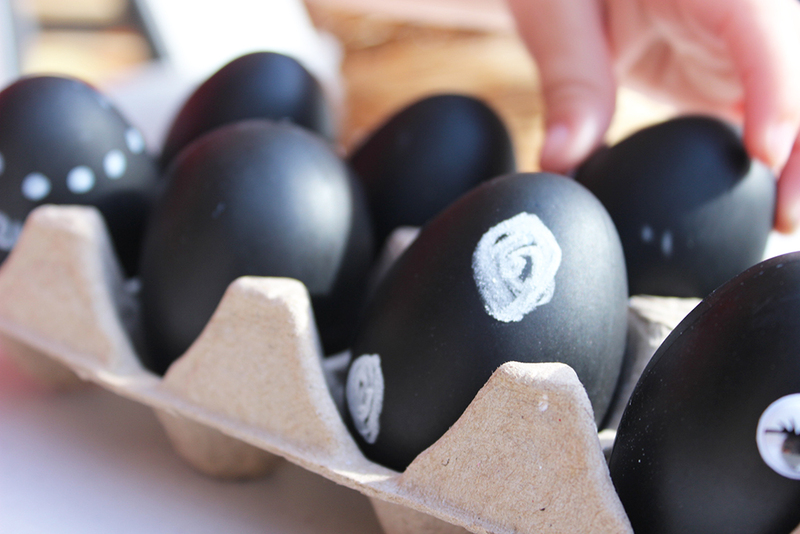 Good Friday is our day to sit down as a family and dye a dozen boiled eggs. 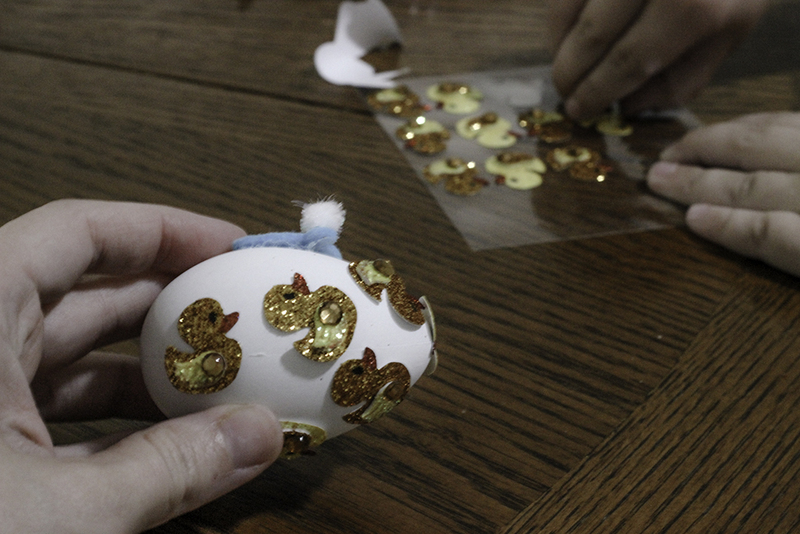 The weeks leading up to that, the kids still love to decorate eggs. Since I don’t want to decorate dozens of boiled eggs each week, I use these alternatives to dyeing Easter eggs. Some are still messy, but all are fun. 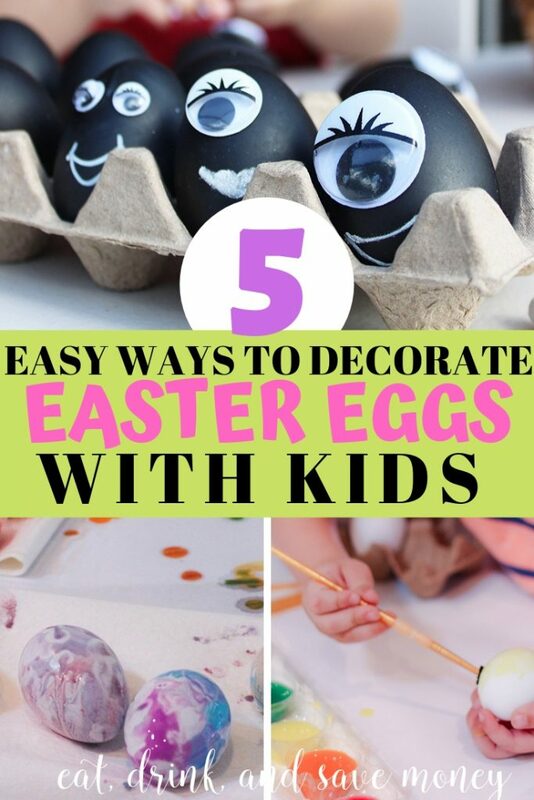 If you need some new Easter egg decorating ides, then you’ll want to try these 5 easy ways to decorate Easter eggs with kids. We’ve done these with all three of our kids and it’s always fun! All you need is plastic eggs and googly eye stickers! 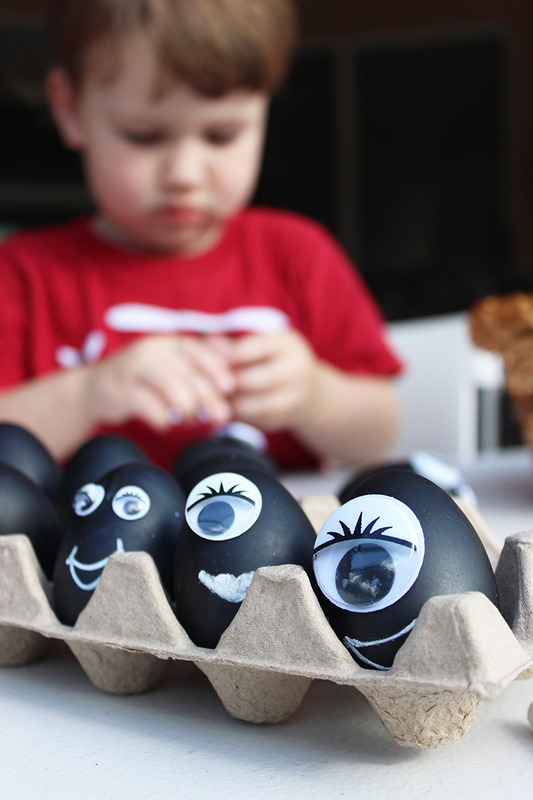 Buy googly eyes that are stickers and the kids can place them on the eggs pretty easily. I tried to make mine look super cute, but this is what my son had in mind. Whatever keeps them happy and entertained, right? 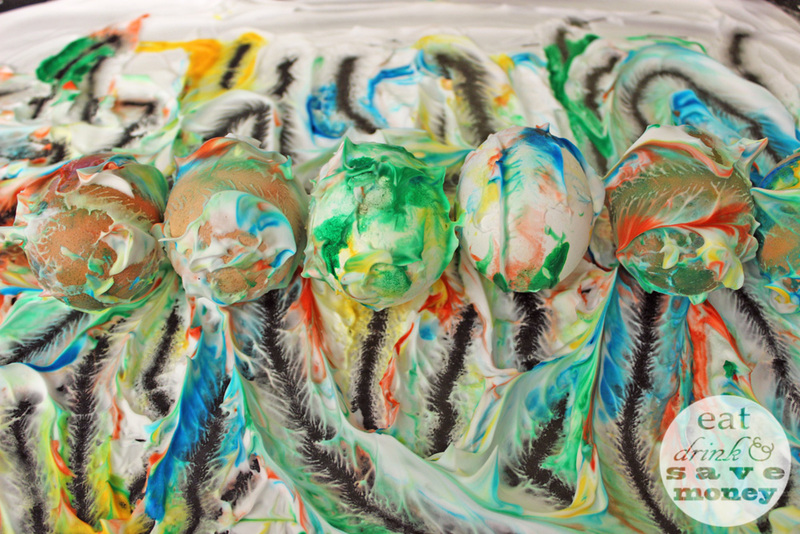 Shaving cream eggs are so much fun, especially for toddlers. Make sure to use white eggs when doing this because the dye looks so much better. See the full tutorial for this here. 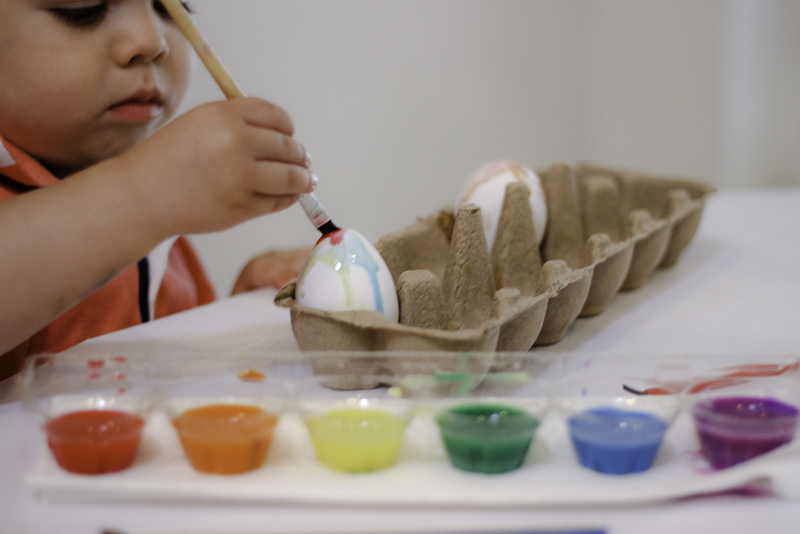 It isn’t mess free, but it’s a great way to get toddlers involved in decorating eggs. Oh, stickers. This is my all time favorite way to entertain busy kids. 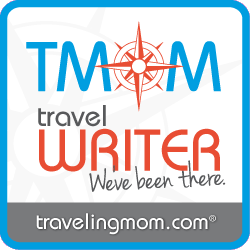 This one is my favorite because it’s so easy and completely mess free. You can keep them simple like my example above. Or you can go crazy like Robert did with the duck stickers. Make sure to do this on plastic or boiled eggs so clumsy kids don’t break real eggs. Painting eggs is always fun for my kids. It’s easy because the kids are self sufficient. Even my 22 month old can paint by himself without knocking paint all over the house. I always use water soluble paint (affiliate link for my favorite paint here) and it wipes right off the walls and even the grout in our tile. I’m not sure I could say the same thing for dye. This is another easy one. Walmart, Target, and Amazon (affiliate link- click here to buy) all sell these eggs for reasonable prices. I like this because I can wipe the off and then use them again the following year. Talk about a great way to save on Easter decor! 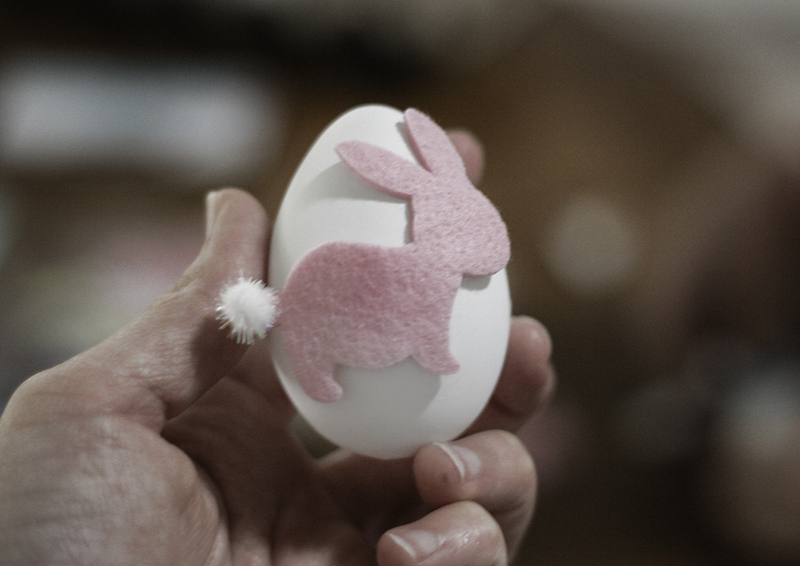 What is your favorite way to decorate Easter eggs with kids? I’m sure my kids will be able to handle dye soon, but with one more on the way we probably won’t be breaking out the dye for a few more years! Thanks a lot for the tips, the stickers look cool! I am planning to put together a easter egg hunt for my daughter and will try and incorporate some of these ideas into the day. Great! The stickers are definitely an easy way to decorate!